Билеты в продаже с 19 сентября. 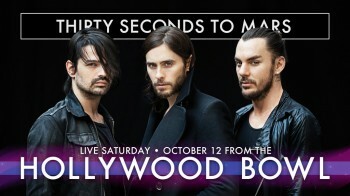 Help Thirty Seconds To Mars VyRT their biggest US show to date, LIVE from the legendary Hollywood Bowl, Saturday, October 12th! Join us and purchase a digital ticket to this special night - If the goal of 7,500 is met, WE WILL VyRT! Chef Tomo is back! Join Tomo for Episode 2 of his cooking show, live and only on VyRT! If you have joined us for Episode 1, you know this is NOT your regular cooking show. Expect shenanigans and to learn something along the way! 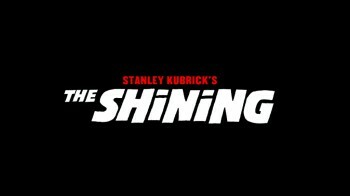 Experience "The Shining" with actor/director/musician Jared Leto exclusively on VyRT Movie Night. Unlike a typical theater, VyRT encourages conversations via our unique social theater platform. Interact with like-minded viewers and join the VyRT community for this special night! Обещались с туром по России -- во_исполнение. ANNOUNCEMENT: ADDITIONAL TOUR DATES IN RUSSIA! "В Контакте" со вчерашнего дня на ушах стоит) Мне интересно: я одна считаю эту затею весьма сомнительной? Мне интересно: я одна считаю эту затею весьма сомнительной? Эта затея и на словах была крайне сомнительной. Зато народ гуляет. ) И весной, и летом.